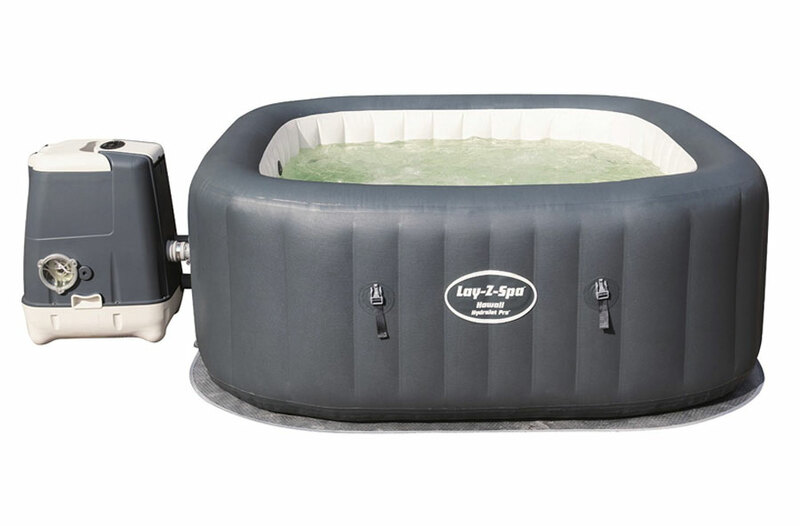 Summary: A popular inflatable hot tub that works well and is very well priced. It is well built and well designed, easy to use and very relaxing and enjoyable to use. 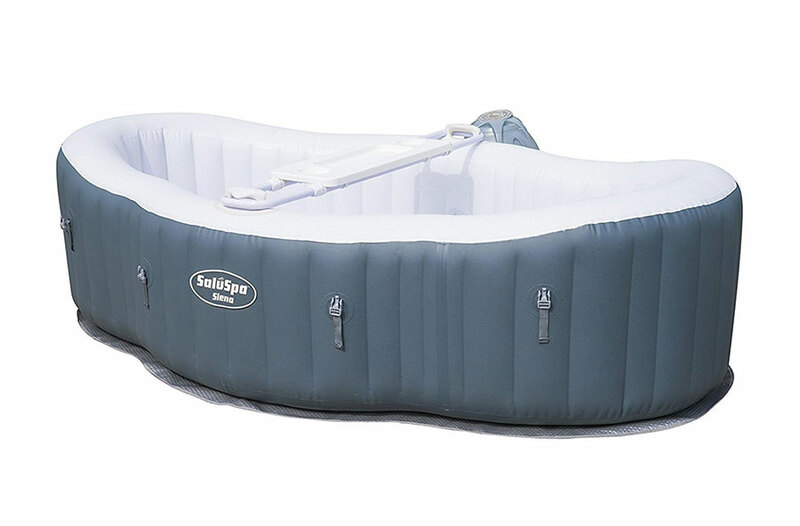 The popular Intex PureSpa Bubble Massage inflatable hot tub is a best seller on a popular online store, and is a great looking 4 person spa perfect for the garden and patio. At 77″ wide it is a good size and comes in a Sahara Tan color. 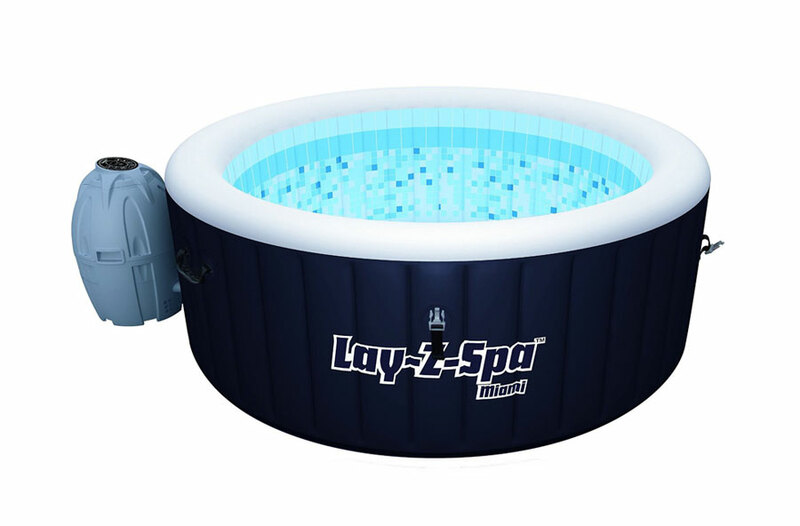 The total height is 28″covering your chest and shoulders nicely this is a really nice hot tub. Hard water treatment system: its built-in hard water treatment system makes the bubbling water gentler on skin, just like a spa experience. Filling your Intex PureSpa Bubble Massage Portable Hot Tub with water means that the water is coming from your residence. To keep piping water soft requires a unique hard water treatment system that Intex is known for. The PureSpa System also contains a specialized saltwater sanitation organic function which helps softens the water without any chemicals. 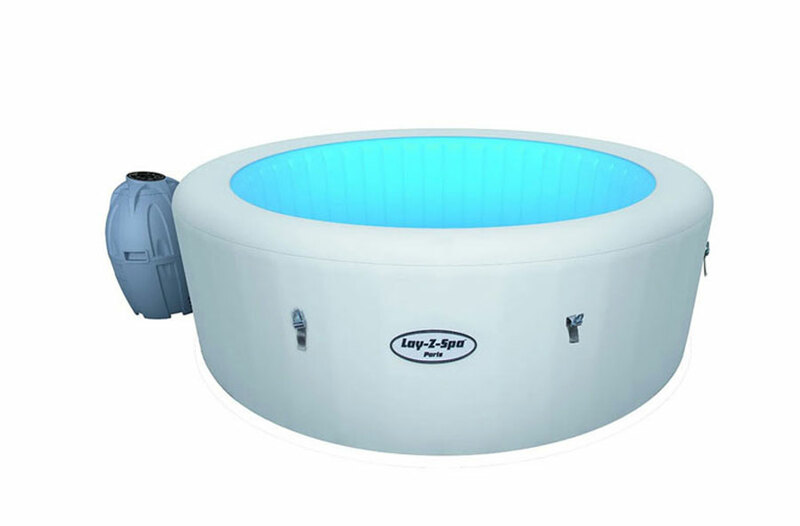 Insulated cover and lock: The PureSpa Bubble Massage Hot Tub is designed with a insulated cover and lock to keep heat loss at a minimal and the locking mechanism provides a great safety feature. PureSpa System: The Intex PureSpa System provides simple maintenance with 2 easy-to-replace filter cartridges for clean spa water each and everytime. With the touch of a button, spa users receive 4 high powered jets and 120 bubble jets. 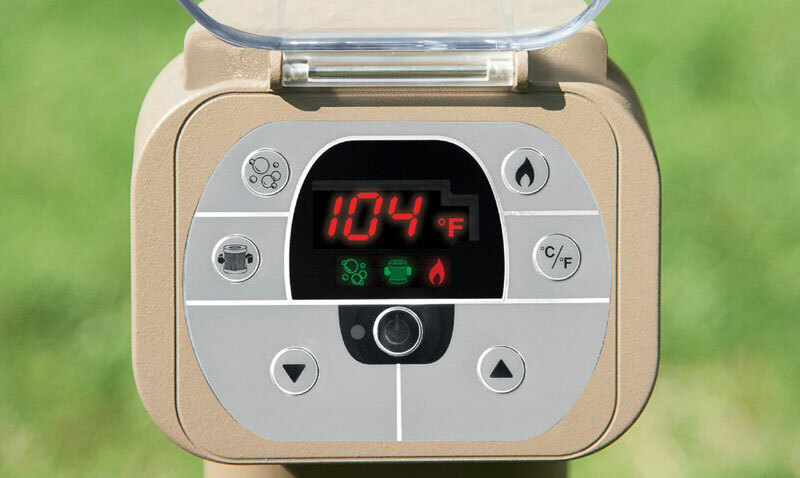 There is an LED Display with gives you the current water temperature automatically. Its Bubble Function actives the massage system that has a 30 minute shut-off feature. 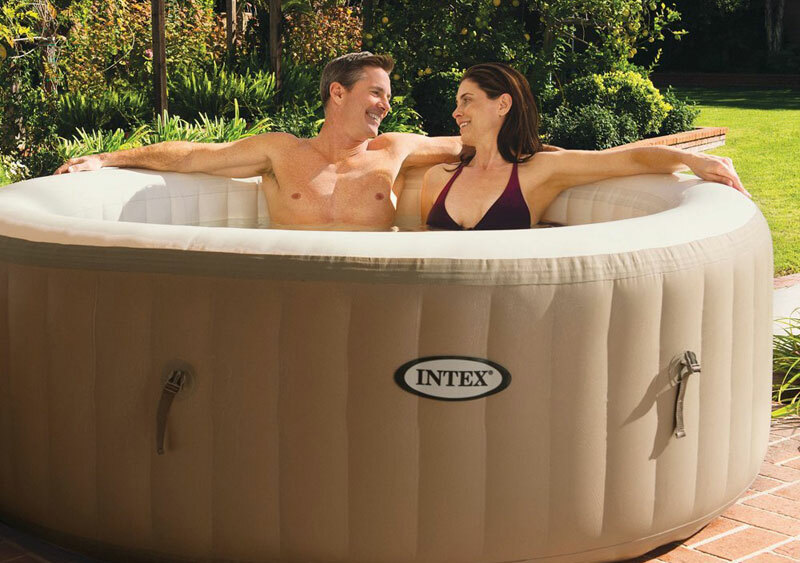 The Intex Pure Spa Bubble Massage is made with durable Intex Fiber-Tech construction and 48 Intex Fiber-Tech beams. You can see the control panel that is positioned off the pump itself making it easy to access without having to lean over to the pump, with this design you can reach without having to stretch. This is a nice design, the buttons are easy to understand and press, the display is backlit so it is very easy to see at night. Maybe a downside is that because of its position and how bright the screen is it is a bit distracting, but this is a miner issue. The spa can be heated up to a maximum of 104 degrees. You can adjust this up and down to your desired temperature that suits you. In the box, you will find the PureSpa Hot Tub deflated unit; salt water sanitation system; insulated cover; a heating system and a 3-way water test strip. Also, in the box is a 10W hard water system; 2 filter cartridges; floating pool chlorine dispenser and a thermal ground cloth. To further make your PureSpa Bubble Massage Hot Tub complete is an inflation hose; a very durable carrying bag; grab handles; cover straps with a child-proof security lock and an easy to read User Manual. 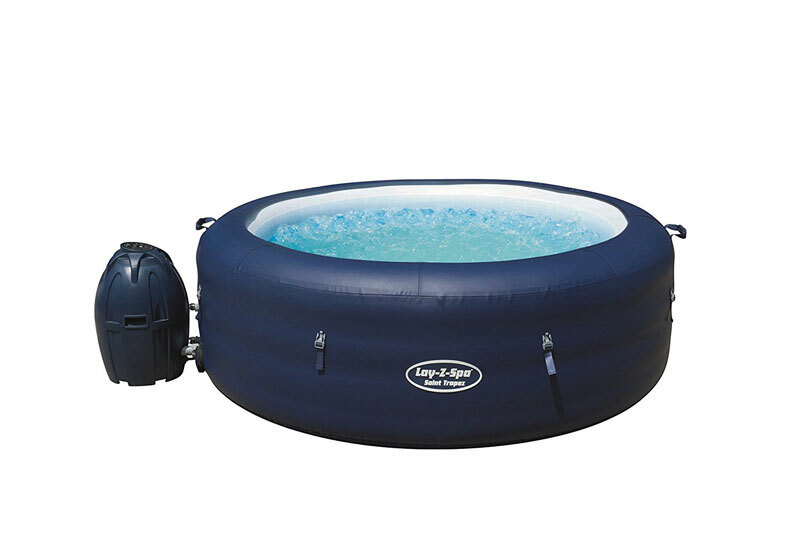 We round up the good and bad points about this inflatable hot tub and things to bear in mind when considering it. LED display is hard to read in bright light and too bright at nighttime. The buttons are not illuminated and at night you need a light to see which of the buttons performs a certain function. The Intex PureSpa Bubble Massage is for people who enjoy relaxing in an environment of soothing, bubbly hot water. There is plenty of room for 2 adults and two smaller children. Also, two or three large men who could be wrestlers, would also enjoy relaxing their muscles in this quality hot tub. Perhaps you are honeymooners and a romantic time under the moonlight in the Pure Spa is exactly what you need. The Intex Recreation Corp., has been designing innovative and quality outdoor recreational spas, pools, hot tubs and accessories since 1966. Their PureSpa Bubble Massage Review comments, identifies this spa style hot tub as a great way to pamper yourself in warm water and shooting bubble jets. This inflatable model is ready to enjoy in about 20 minutes. The PureSpa is designed to heat up the water before it is released and through its unique water system, it keeps the costs of using gallons of water, very low. 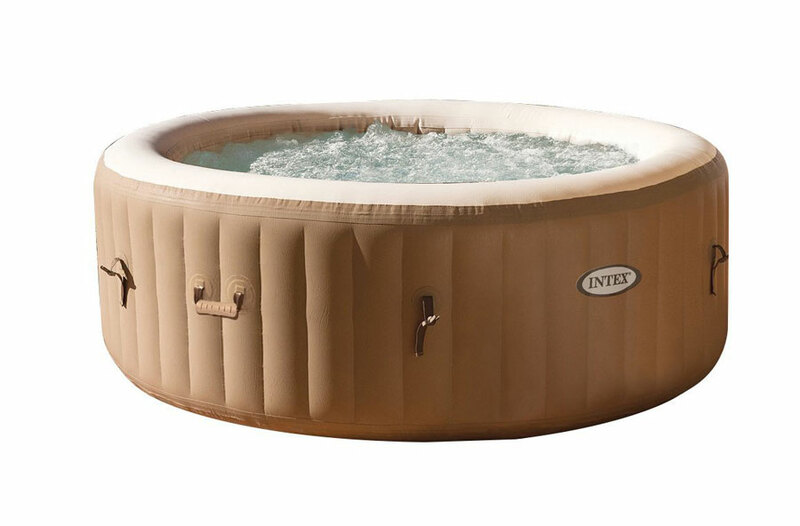 The Intex Pure Spa Bubble Massage Hot Tub is made from a 3-play laminated material that can’t be damaged, is very supportive and is extremely comfortable. Hot tub spa users can adjust the heating buttons to fit their personal preferences. Intex PureSpa keeps the water safe and clean with a filter system. 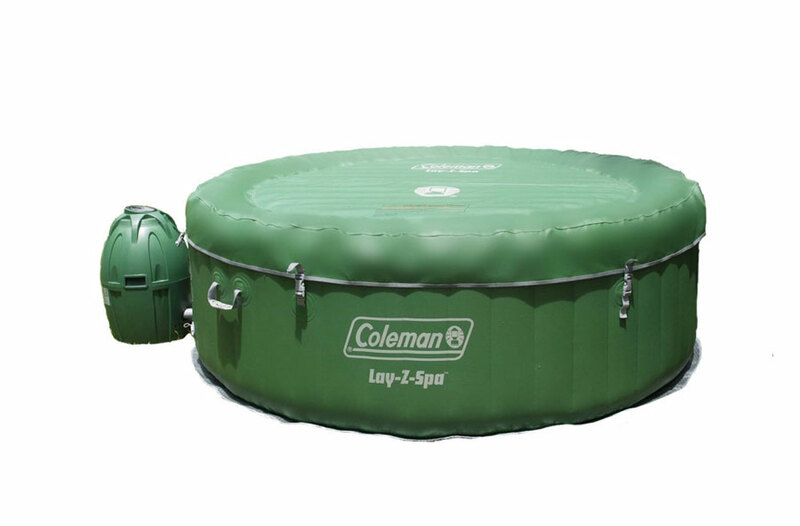 It really is a relaxing spa experience, with a safe locking function, an insulated cover, a floor mat, and a carry bag with grab handles.